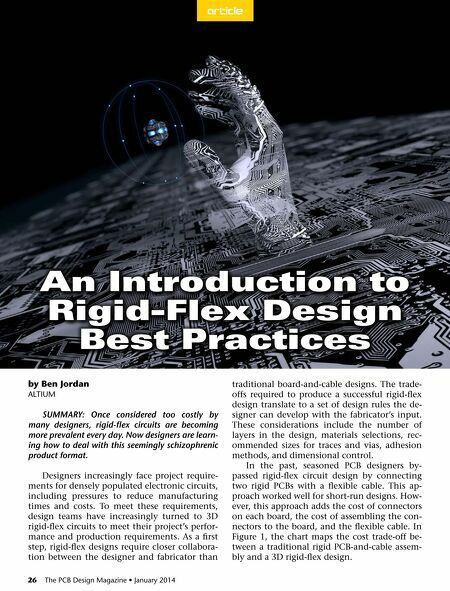 article An Introduction to Rigid-Flex Design Best Practices by Ben Jordan Altium SUMMARY: Once considered too costly by many designers, rigid-flex circuits are becoming more prevalent every day. Now designers are learning how to deal with this seemingly schizophrenic product format. Designers increasingly face project requirements for densely populated electronic circuits, including pressures to reduce manufacturing times and costs. To meet these requirements, design teams have increasingly turned to 3D rigid-flex circuits to meet their project's performance and production requirements. As a first step, rigid-flex designs require closer collaboration between the designer and fabricator than 26 The PCB Design Magazine • January 2014 traditional board-and-cable designs. The tradeoffs required to produce a successful rigid-flex design translate to a set of design rules the designer can develop with the fabricator's input. These considerations include the number of layers in the design, materials selections, recommended sizes for traces and vias, adhesion methods, and dimensional control. 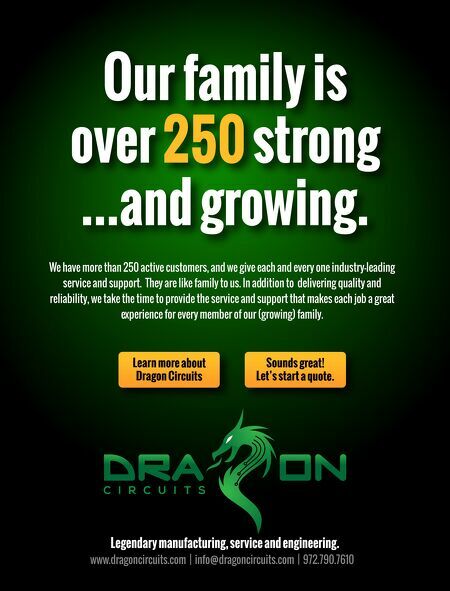 In the past, seasoned PCB designers bypassed rigid-flex circuit design by connecting two rigid PCBs with a flexible cable. This approach worked well for short-run designs. However, this approach adds the cost of connectors on each board, the cost of assembling the connectors to the board, and the flexible cable. In Figure 1, the chart maps the cost trade-off between a traditional rigid PCB-and-cable assembly and a 3D rigid-flex design.